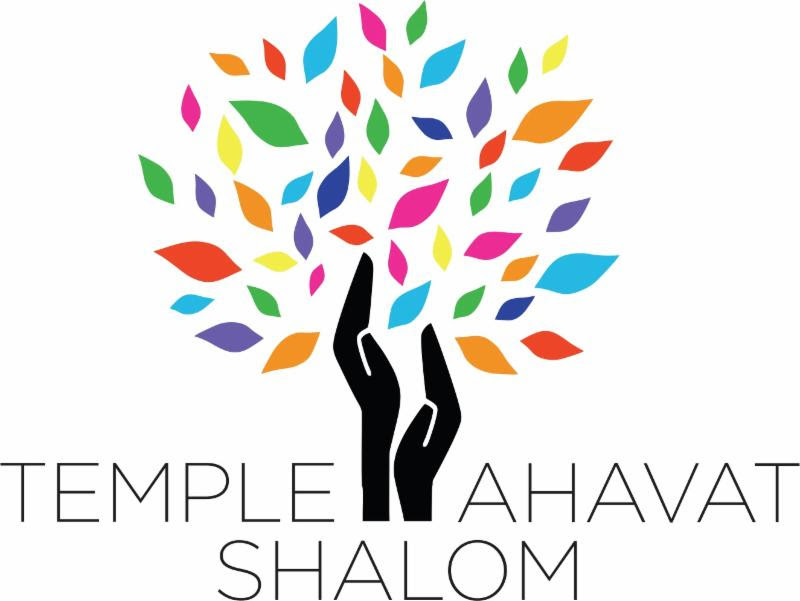 Daniel rejoined Temple Ahavat Shalom in 2008, having been at most of the other synagogues in the San Fernando Valley — including a previous go-around at Ahavat Shalom in the late 1980s. Prior to TAS, he was at Temple Beth Hillel, Temple Beth Torah (where he was Religious Practices Chair, Tot Shabbat Coordinator, Webmaven, Newsletter Editor, and Publicity Chair), Kol Tikvah (Social Action Chair), and Temple Emet of Woodland Hills, and (in his youth) at Wilshire Blvd. Temple and Temple Jeremiah/Temple Israel of Westchester. He founded the Liberal Judaism Mailing List, and maintains the Soc.Culture.Jewish Frequently Asked Questions. He is an alumnus of the Wilshire Boulevard Temple Camps. In real life, he’s a Senior Engineering Specialist in the field of cybersecurity at a Federally Funded Research and Development Center, and has worked in the field of computer security since 1985. You’ll even find his name on this little NIST document. He is on the board of the Applied Computer Security Associates and is active with the Annual Computer Security Applications Conference. He has a BS and an MS degree from UCLA. As a hobby, he goes to live theatre almost every weekend (and writes about it on his blog), and maintains the California Highways Web Page. Barry has been a Temple member for almost 20 years. He has found that the Men of TAS has been a great way to meet and keep lasting friendships with like-minded men. Barry graduated from University of Wisconsin with an MBA in business administration. He worked as a chief financial officer for a subsidiary of Shell Oil Company, after which he moved to Colgate Palmolive Company in Berkeley, CA as a production control officer. Barry is a fully-licensed financial advisor. Barry also spent 2 years on the Pro Bowlers tour traveling around the country trying to make a living. For 23 years, Barry owned his own importing business with his wife, Andy. They imported Judaica and sold to Judaic stores, Temples and gift stores throughout the USA. Barry retired in 2013 and currently works two days a week at Knollwood Country Club as a marshall on the golf course. He plays golf three days a week and bridge as often as he can. He is also chairman of the 2014 MoTAS golf tournament. Dave and his family have been members of TAS since 2006 and he has been a Jew for over 50 years. Dave and his wife Judy have had both our boys, Brandon and Jordan, bar mitzvahed at TAS. Dave enjoys spending time with the families at our temple. The Men of TAS gives him a chance to participate in the temple activities. The get-togethers MoTAS has for the Men’s Hang Out and Discussion Group is his favorite activity. After receiving a management degree from San Diego State University, Dave worked 25 years in the corporate world, mostly as a Vice President of Operations. He then realized his passion was and is to invest in Real Estate. During the day he works as a consultative residential Realtor at 818MyHouse.com licensed by Keller Williams Realty, in addition to his investment business. His family has lived in Porter Ranch since 1994 and he enjoys the community. He enjoys traveling to wine country for a nice getaway. It is a pleasure to watch his boys play their instruments in the L.A.P.D. Band. He also enjoys relaxing around the pool with my wife Judy. Rick has been a member of Temple Ahavat Shalom since 2000 and has had the honor and pleasure of seeing his son’s and daughter’s B’nai Mitzvah in August 2013. Rick has been in the motion picture industry for over 30 years in Marketing, Advertising and Technical Training. Rick’s hobbies are hiking, camping, photography, music, golf. He joined MoTAS to give back to his Jewish heritage and fellow congregants in ways he hopes will make a positive impact, and that will inspire others to preserve our Earth and promote the best of Judaism. Roger has been a member TAS since 1986. He has been active in the MoTAS for many years supporting the many events, such as Purim food service, Sukkah building, and the golf tournament. He received his bachelor’s degree from City College of New York. He retired from Kaiser Permanente in 2008, where he worked for 23 years in the IT department. Since retirement he has been remodeling his 1964 home and traveling around the country and the world. Bob Levine, current past-president, has been a member of TAS since 2006, serving as MoTAS’s treasurer, vice-president, and president. During his term as president, MoTAS converted from dues-paying membership to full inclusion, without a dues requirement. He introduced the popular and successful “sports game” fundraisers to the community, which have, to date, added more than $7,000 to special needs projects. As MoTAS president, Bob was part of the TAS Board of Trustees, and previously served TAS’s marketing and membership committees. Bob is a Certified Public Accountant (“debits to the window”), addressing the various needs of individuals and small businesses. Prior to becoming an accountant, Bob was a retail merchant: senior Cosmetics buyer for Macy’s Midwest division. He was an officer in the US Navy during the Vietnam era, happily serving one tour in the Mediterranean Sea, and two tours in the Caribbean Ocean. As Jewish lay leader, he organized and led a Yom Kippur service in Greece and a Passover Seder in the Panama Canal Zone. He has BA and MBA degrees, both from Columbia University, and studied in the Career Counseling Master’s program at CSUN. Bob’s hobbies include writing and music. He has composed religious meditations that have been played at TAS services. Bob has one child, an adult daughter living in New Jersey. Kathy, his best-thing-ever partner, lovingly keeps his to-do list fully stocked.